Die Entsperrung Huawei P9 Lite mit einem Code ist sehr einfach. Das ist auch eine einzige und sichere invasionsfreie Methode um SIMLOCK zu entfernen. 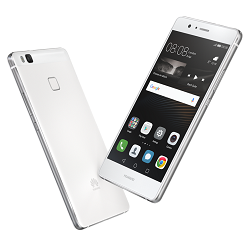 Der Code zur Entsperrung eines Huawei P9 Lite Telefons kann man nur aufgrund der IMEI-Nummer erhalten. Diese erscheint nach Tastatureingabe von *#06# oder nach dem Herausnehmen des Akkus. Die IMEI-Nummer befindet sich auf einem Informations-Klebezettel, wie auf diesem Bild zu sehen ist. 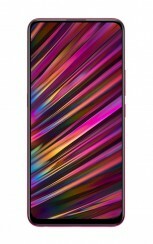 Wie kann man Code in das Huawei P9 Lite Telefon eingeben? Excelente servicio. Soy cliente hace años y siempre ha funcionado. Na kod nck oczekiwalam zaledwie jeden dzien. Wszystko sprawnie i bezprpblemowo. Profesjonalnie i do¶æ szybko.Polecam.Na innych stronach nie warto szukaæ.Dziêkujê. Servicio muy rápido y profesional. Sin problemas. Recomendable. Very pleased with the service. It took 4 days to get the code for my Hauwei P9 Lite but that was right on the predicted wait and the code worked first time. Good to do business with. thank you so much, great service, waited for 4 working days, on the 5th wrote to them and they answered very quickly, first code worked straight away :-) recommend A BIG YES. thank you again. have phone in vodafone ireland, gr8 job guys. I had my doubts, but it turned out to be a great experience. I received my code in half the average time for a Huawei, which was perfect because I was able to unlock my phone just when I needed it the most. I would use this service again if I had to unlock another phone. Already in the first code it worked. The phone accepted another sim card. Working perfectly. Esta vez tardó un poco más, pero 100% efectivo como siempre. P9 Lite odblokowany po 3 dniach pierwszym kodem. Polecam. Code working for Huawei P9 lite, unlocking my phone. My recommendation.